During the pre-buddhist era, Tibet had religious and cultural influences from the indigenous Bon tradition. There is some evidence to suggest that several forms of medical practice existed at that time. The precise influence of these practices on the evolution of the Tibetan medical tradition, however, is unclear. The historical Buddha taught the medical text Vimalagotra (Tib: Dri-med Rigs; Eng: Immaculate Lineage) simultaneously with the first turning of the wheel of Dharma at Sarnath on Four Noble Truths. At the time of the teaching on Jagoe Phungpo'i Ri(Vulture's Peak), the Buddha taught the text gso-dpyad 'bum-pa (One hundred thousand verses of Healing). He also taught gCer-mthong Rig-pa'i rGyud (The Tantra of Bare Vision) to the Avalokisteshvara, Brahma, Shariputra and other Mahayana disciples at Beta Groves. Some believe the One Hundred Thousand Verses of Healing and the Tantra of Bare Vision are the same text with two different names. During the third turning of the wheel, the Buddha taught the gSer-'od dam-pa'i mdo (Supreme Golden Rays Sutra), which contains a chapter entitled "Nad-thams cad zhi-bar byed-pa'i rGyud" (The Ways of Completely Curing Diseases). Buddha also expounded the Gawo mNgal Jug gi mdoj (Sutra of Gawo Entering the Womb in Konchok Tsekpas), VIth Volume. Although Vinaya Sastra (Tib:'dul-ba lung) is a teaching on moral discipline, it contains medical teachings also. In it, Gautam Buddha taught the Sanghas (monastic communities) how to cope with the miscellaneous disorders they faced during their three month summer retreats. It is one of the three basic observances for monks prescribed by Buddha Shakyamuni. The Indian physicians Biji Gaje and Bilha Gaje were born to rNga-Chenpo, the King of Vajrasana (BodhGaya), and his two wives, on the daughter of a drum maker and the othert the daughter of a bell maker. The mothers offered ten drums and ten bells to the Mahabodhi Stupa of Vajrasana and made prayers for their Children'' success in benefitting sentient beings. When the boy and girl grew older, they requested of their parents to learn the Science of Healing. After getting permission, they went to Taxilla in Pakistan and studied medicine under the great Physician Atreya. Afterwards, they travelled throughout India and also visited China, Nepal and East Turkistan (which is now under China and called Xinjiang Autonomous Region). They also received medical teachings from another great physician, Kumara Jivaka, at Magadha. When they were in Vajrasana, Arya Tara prophesied that they would go to Tibet and propagate the Medical Science. During the reign of the 28th King, Lha Thotho-Ri-Nyantsen, Biji Gaje and Bilha Gaje did visit Tibet. 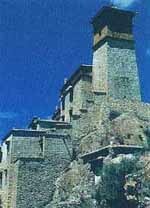 The King invited them to his Palace, Yumbu Lakhar, after hearing news about the healings they rendered to Tibetans. He requested them to remain there to teach and practice, and he gave his daughter Yidkyi Rolcha as a bride to Biji Gaje. It is believed that Biji Gaje and Bilha Gaje are still alive and exist in a forest of sandalwood after attaining immortality during retreat with empowerment from their medicines. From Biji Gaje and Yidkyi Rolcha the first known physician in Yuthog lineage, Dung gi Thorchog, was born in the 4th century. He learned the art of pulse reading, pharmacology, moxibustion, blood letting, and dressing and treatment of wounds from his father at an early ae. He became eminent in his field and was personal physician to his grandfather, King Lha Thothori Nyantsen, and Trinyan Zungtsan. He was one of the most innovative physicians in Tibet and under his lineage the famous Yuthog Yonten Gonpo is said to have been born. His successive sons continued the lineage and served as personal physicians to the kings of their times for four generations. During the reign of the 33rd King, Songtsen Gampo, eminent physicians from India (Bhardvaj), China (Han Wang Hang De), and Persia (Galenos) were invited to share their kinowledge with Tibetan physicians. Each physician wrote a treatise that was later incorporated into a text called Mijigpe-Tsoncha (A Fearless Weapon), which contains seven volumes. This was presented to the king. Although the Indian and Chinese physicians returned to their countries, Ganlenos remained in Tibet to practice and teach, and wrote several texts on medicine. In addition, King Songtsen Gampos's Chinese wife Kong-jo had brought a Chinese medical text with her, which was translated into Tibetan by Hashang Maha Deva and Dharma Kosha. In the 8th century, King Trisong-Deutsen invited several great physicians for the first ever known medical conference at Samye, Tibet. In attendance were eminent physicians from India, China, Persia, East Turkistan, and Nepal. Elder Yuthog Yonten Gonpo represented Tibet. The conference lasted for several days, during which time the delegates discussed the theoris and practices of their medical systems in comparison to those of the others. Yuthog Yonten Gonpo was born at Toelung Kyina to Yuthog Khyungpo Dorjee and Gyapa Choeky Dolma on the 25th June. In the tradition and father-son lineage, he learned from his father and started practicing basic elements of medicals science at early age. 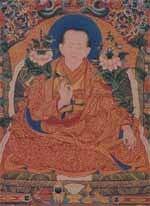 In order to test his knowledge, the King Me-Agtsom summoned him at the age of ten for a debate with the famed Tibetan physician Drangti Gyalnye Kharphug and many others. 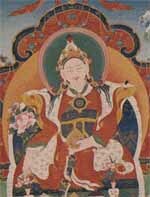 Yuthog emerged victorious and became supreme among the nine eminent physicians of Tibet. 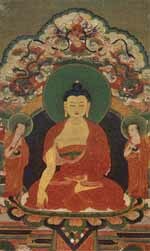 His clever answers to the visiting scholars, such as Shanti Garhwa of India and Tongsum Gangwa of China, earned Yuthog a great reputations amongst them, and he was respected by all as an emanation of the medicine Buddha. 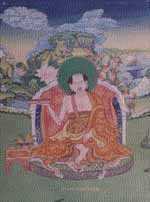 Yuthog Yonten Gonpo became the personal physician to the Tibetan kings Me-Agtsom and Trisong Deutsen. He visited India several times to study with eminent physicians and travelled to China as well. He established Tibet's first medical institute called "Tanadug" at Kongpo Manlung in the south in 763 A. D., which no longer exists. 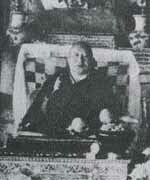 He devoted his whole life to the propagation and promotion of Tibetan medical science. Lochen Rinchen Sangpo was born in 958, amidst portentous signs, in a small hamlet called Radni, situated in present Tibetan territory beyond the Shipki pass, which separated Kinnaur and Spiti from the province of Guge to their east. From his birth he displayed uncommon qualities that soon led him to master the Buddhist scriptures. In the later development of Buddhism, the great translator Lochen Rinchen Sangpo (958-1056 A.D.) with all his effort revived Buddhism and Tibetan Medicine. He travelled to Kashmir and received medical teachings such as Ashtanga Samhita (Tib: Yan-lag brGyad-pa'i sNying-po bsdus-pa; Eng: Condensation of the Essences of Eight Branches) and its commentary, Dhaser (Moonlight) and the veterinary text Shali Hotra from the great Pandit Chandra Ananda, which later he translated into Tibetan. His work enhanced the development of Buddhism as well as medicine in Tibet. 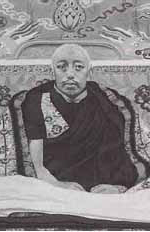 Junior Yuthog Yonten Gonpo was the 13th in the lineage of the Elder Yuthog Yonten Gonpo. Born in Goshi Rethang to Yuthog Khyungpo Dorjee and Padma Oden, he began studying medicine at the age of eight. 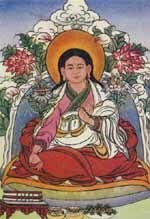 At ten, he received the whole teachings of rGyud-bzhi from Rogton Konchok Kyab, and from the age of eighteen he visited India six times and received teachings from Dakini Palden Trengwa and the sage Caraka. On his return to Tibet, Yuthog Yonten Gonpo dedicated his life to the practice of medicine for the benefit of all sentient beings. He wrote Serchen (Golden Notes), Zongchen (Wealthy Notes), cha-lag bco-brGyad (Eighteen Supplementary Works), and Nyingpo Duspa (Condensation of the Essences) and a commentary on its theoretical points called Thongway Melong. He gave his entire teachings to his best disciple Yeshe Sung. Of his many disciples, three hundred of them are well known today. 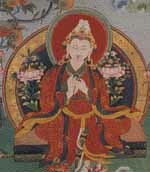 Jangpa Namgyal Dragsang was the seventh in the lineage of King Se'u of Minyag. He was awarded the title Rinpoche Thamks by the King Gongma-Sechen. He was born to Gu'i-ging Chodrak Palsang and Bumkyong-Gyalmo, the daughter of Situ Chorin, at Ngam-ring. 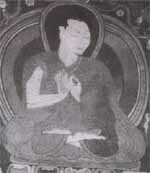 At the age of ten, he learned Sutra, Tantra and medicines from Palden Naggi Rinchen and Bodong Chogle Namgyal. He wrote many books on Buddhist Philosphy, Crafts, and Astrology, and eleven books on Medicine. He is one of the two renowned founders of the Jangpa tradition of Tibetan medicine. Mi'i Nyima Thong-wa Donden was one of his best disciples. Zurkhar Nyamnyi Dorjee was born to Rigzin Phuntsok and the daughter of Kunkyen Tashi Namgyal in the Earth Sheep year. He learned Buddhist philosophy and medicine from many renowned scholars and, at the age of 16, he wrote Manngag-Jewa-Ringsel (Pith Instructions, Relics in Crores) and many other treatises. He was the founder of the Zurlug tradition of Tibetan medicine. Later, his grandson Zurkhar Lodoe Gyalpo wrote a commentary on rGyud-bzhi called Mepoi Zallung (Oral Instructions of my Forefathers). Sangye Gyatso was born to Asug and Buthi Gyalmo in the Water Snake year. He began his studies at the age of five and when he was eight, he learned Sutras and Tantras from the Great Fifth Dalai Lama. He learned Astrology and grammar from Darpo Lotsa, Yangchar (Arisal of Vowels, an Astrology) from Lugo Dachen Ngag gi Wangpo, and medicine from Jangpa Lhunding Namgyal Dorjee, and he became an expert in all these fields. 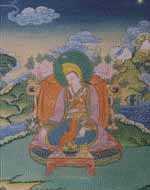 Sangye Gyatso was appointed Regent by the Great Fifth Dalai Lama (1617-1682). During his 26 years in this position, the Potala Palace was rebuilt and expanded to its present size and the golden stupa of the Great Fifth Dalai Lama was built. Under his guidance, seventy nine medical thangkas were produced, the rGyud-bzhi was edited and published, and the Chagpori Medical College was established in Lhasa in 1696, the Fire Mouse year. 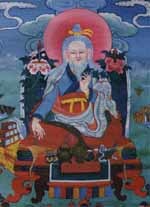 Sangye Gyatso wrote many books on astrology, especially Vaidurya-Karpo (White Beryl), and medicine, including Vaidurya sNgon-po (Blue Beryl), the most popular commentary on the rGyud-bzhi. Rev. Khyenrab Norbu was born to Astrologer Ngawo-che and Yangchen in the Water Sheep year at Tsethang, southern Tibet. He was admitted to Ngachoe Monastery, and was known to be good in his studies, intelligent, compassionate and humble. As a result, he was selected from many young monks as a candidate to study medicine and went to Chagpori Medical College in Lhasa. There he was taught by Dr. Ngawang Choden. He passed his exams in a relatively short time. In order to preserve and expand Tibetan medicine, the Great Thirteenth Dalai Lama (1876-1933) in 1897 appointed Tekhang Jampa Thubwang and Jabung Damchoe Palden as his senior and junior physicians respectively, and ordered them to teach selected students. Khyenrab Norbu, Tenpa Yarphel and Tsultrim Nyandrag were chosen from Chagpori Medical College to study under the senior physician and they received teachings on rGyud-bzhi and its various commentaries such as Vaidurya sNgon-po (The Blue Lapis Lazuli). Khyenrab Norbu also learned medicine, astrology, poetry and grammar. He was named Yangchen rgyas pai Lodoe as an honor to his hard work. When he was 29, in the Iron Dog year (1912), he took responsibility of the Medical Clinic at Drepung Monastery - to maintain the health of the monks. He began writing books and doing research on Tibetan Medicine. The Great Thirteenth Dalai Lama, in the year of the Fire Dragon, 1916, appointed Khyenrab Norbu as Director of both the Chagpori Medical College and Men-Tsee-Khang (Tibetan Medical & Astrological Institute). In 1918, he was appointed to the post of Junior Physician to H. H. The Dalai Lama. He spent his entire life promoting Tibetan culture, especially medicine and astrology. Some of the present eminent physicians such as the Senior and Junior physicians to H. H. The XIV Dalai Lama, Tenzin Choedak and Lobsang Wangyal respectively, former personal physician to H. H. The XIV Dalai Lama Yeshi Dhonden, and the former director of Lhasa Men-Tsee-Khang Jampa Thinley were his disciples. He died at the age of eighty in the Water Tiger year, 1962. The Chinese invaded Tibet from the east in 1949. On 10th March, 1959, the chinese ruthlessly suppressed peaceful Tibetan demonstrations in Lhasa by artillery fire and bombardment. His Holiness the 14th Dalai Lama, followed by thousands of Tibetans, escaped into exile in India. During the Cultural Revolution (1966-1976 ) the Chinese destroyed more than 6,000 monastries, demolished statues, burnt religious and astrological-medicine books, destroyed forests, and wreaked unimaginable destruction to flora and fauna. As a direct consequence of Chinese repression, more than 1.2 million Tibetans died. The Chinese are using every possible medthod to exterminate the culture and identity of the Tibetan people. In order to preserve and promote the richness of Tibetan culture, under the auspices of His Holiness the 14th Dalai Lama many institutions, monastries and schools were re-established in India. Men-Tsee-Khang (the Tibetan Medical and Astrological Institute) was established on March 23rd, 1961, with Dr. Yeshi Dhonden and Ven. Lodoe Gyatso as the heads of the Medical and Astrological sections, respectively. Initially, Men-Tsee-Khang lacked necessary facilities, money, and staff, and was situated in a room on the upper floor of an old house in Mcleod Ganj, Dharamsala, in Himachal Pradesh. Mcleod Ganj is a small town known as "Little Lhasa", situated at the base of the Dhauladhar mountains at 1768 meters above main sea level. At present, the Institute's headquarters in Dharamsala oversees the operation of nearly 40 branch clinics in India, Nepal and abroad. 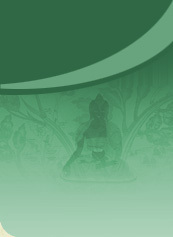 Since beginning operations in exile, the work of Men-Tsee-Khang has undergone significant development with the creation of the Pharmaceutical, Research & Development, Materia Medica, and Editoral & Publication department, as well as the College for training new doctors and astrologers. Astrology department produces range of annual almanac, calenders, amulets and horoscopes for individuals. Also produce marriage compatibility charts for the sick, yearly progression charts, after death charts, the date and time for different religion, ceremonies and the timing of preparation of traditional medicine. In addition, Men-Tsee-Khang, which distributes Men-Tsee-Khang products internationally, operates from New Delhi. Most of the medicine produced by the Pharmaceutical Department goes to Indians and foreigners. Today, the Institute's staff numbers 350. With the increasing popularity of Tibetan medicine, Men-Tsee-Khang doctors and astrologers regularly visit Europe, Canada, USA, Russia, Japan and many places in India for conferences, seminars, consulations, and exhibitions.